If it wasn’t for the very recognizable title I wouldn’t have a clue that this was the poster for some sort of Shakespeare adaptation. Instead, I would probably peg it as the poster for some new Horror/Adventure film. Probably one with Vampires. Or Werewolves. Or both. I wonder what the goal of this poster was. Perhaps it is meant to make the movie seem exciting to the Horror/Adventure crowd, in an attempt to reach a broader audience. 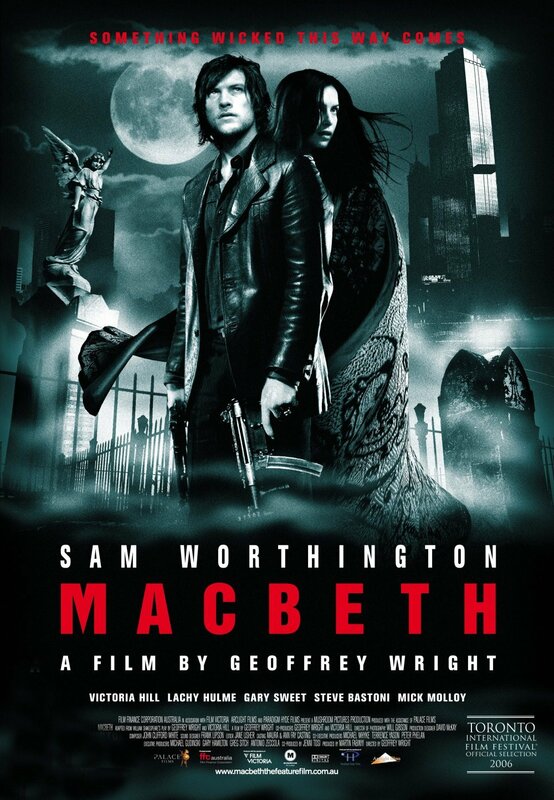 After all, there aren’t that many Shakespeare heads out there, and even most of those weren’t going to be that interested in such a modern and violent adaptation of the bards work. But wonder if they aren’t downplaying too much the Shakespeare aspect, since it is one of the main selling points of the film. Then again, maybe the title is enough for people to make the connection. And I sure as hell don’t know how they could tie the poster better with the original work.